Another year of Blues Bytes and we just keep rolling along. As with every previous year, we use the January Pick Hit to feature the reviewers' Top Ten Lists for the past year. We couldn't do Blues Bytes without our team of dedicated reviewers, who year after year submit the wonderful reviews found on the pages of this site for one primary reason --- they love the blues! If you read a review that you like, send us an email and we'll forward your compliments on to that reviewer. Sadly, we lost one of our long-time reviewers in 2018 as Mark Gallo passed away. RIP, Mark. Here's my list of ten favorite CDs from 2018. OK, I couldn't stop at ten so I am giving you an even dozen. Don't read too much into the order in which I've listed my 12 faves. They are all great albums and I could shuffle them in just about any order. Enjoy! This Australian expat based in Los Angeles gets better with each album. Now if we could just get her a gig in Phoenix! Still just in his teens, Julia may be the next guitar prodigy in the blues world. I ordered this album right after reading Graham Clarke's review of it and have since picked up two more discs from this Kansas City trio. Ms. Ball is arguably the most consistently excellent blues artist on the scene today, so of course anything she releases has to be on my Top Ten list. Typical album from the Phoenix blues impresario with many guest artists, but Corritore's harmonica playing is at its best on this one. Impressive young sax player on the rise, also shining on vocals and with her songwriting. One of my favorite live shows from 2018 occurred when these Chicago cats came to Phoenix. Raw blues with a touch of soul recorded on vintage of equipment takes the listener back to the golden era of blues. She's been around for quite some time, but this album served as my introduction to Malone's very fine vocals and guitar playing. Bob has been playing the blues for a long time and has the credentials to now be labeled a veritable legend. 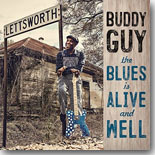 This is just a nice album coming from the heart of one of our treasured blues artists. Another fine female singer that I learned about from a Graham Clarke review. Within minutes of my first listen to A Woman Rules The World, I was ordering Ms. Shay's previous album which is our Flashback feature this month. I own most if not all of Price's extensive discography and have always been a big fan, but a trip west to Kid Andersen's Greaseland studio to record Reckoning helps to make Reckoning one of his best. Other interesting 2018 CDs came from Rockwell Avenue Blues Band (Back To Chicago), Dana Fuchs (Loves Lives On), Mud Morganfield (They Call Me Mud) and Ally Venable (Puppet Show). NOTE: I did not realize until compiling this list what a great year the VizzTone group of labels had this past year ---- five of my top 12 CDs were released by them. Pretty impressive! 2018 was a year of highly memorable releases for Chicago�s Alligator and Delmark Records. Here is my top ten list of 2018 in no particular order. An excellent set that showcases all four of the Bells brothers, along with guests Charlie Musselwhite and Billy Branch. 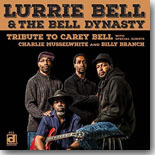 Though Lurrie Bell is the best known of the brothers, harmonica player Steve, singer/drummer James, and bassist Tyson bring plenty of talent of their own to the table as well. Dad would be proud. I listened to this one an awful lot these past few months. This was a really cool all-instrumental set that combined the blues with soul, rock, and funk with a great retro feel. Anybody who digs Booker T or Jimmy Smith will find a lot to enjoy here. I've been listening to �The Reigning Queen of Beale Street� for a long time and this one is easily her best with a super mix of blues and R&B, and an all-star cast of supporting musicians. If you're new to Barbara Blue, it's time to get on board. It's been fascinating to watch this brilliant young guitarist develop not only with his chosen instrument, but also as a singer and songwriter. He says this is truly his first "solo" record. It's certainly his best one. Some of the best guitar work you�ll hear this year, or any other. Without a doubt, one of the best live albums I've heard in a long, long time. Matt Isbell and the band are at their absolute best on this superb set. This is a must-have for their current fans and a great introduction for new fans. Get this now!! I have to admit that I was thrilled to hear that Keller had signed with Catfood Records because I knew that he would be a perfect fit for their catalog of soul-blues artists, and he certainly didn't disappoint with this release. It has a great Memphis feel with the Rays providing stellar backing, and Keller is one of the best soul-blues vocalists out there right now. Ms. Trudy seems to have found a home with Connor Ray Music and an excellent band led by harmonica ace Steve Krase, and she just blows the doors off on this album. Every Trudy Lynn album is a treat, and this one is awesome. Wow! This stunning release blew me away late in the year. Ms. Purdy can sing it all --- blues, rock, soul, jazz, R&B, and even classical --- seemingly without breaking a sweat. She covers a lot of ground in a short time on this release and it all sounds great. Blues fans are advised to keep tabs on this great new talent! I've really enjoyed Scaggs' recent trio of albums that pay tribute to his musical roots. This third set focuses on the blues with a great mix of classics from Bobby Bland, Jimmy Reed, Jimmy McCracklin, and Neil Young(! ), along with several original tunes that blend seamlessly with the classics. I never got around to reviewing this one last year, but it definitely belongs on the list. This album is unlike any of the Wolfman's previous soul/blues/funk releases. This is pristine after-hours blues and while Washington has always been highly regarded as a guitarist, his vocals are his secret weapon and he's done marvelous work previously with the ballads on his earlier albums. Check out his incredible duet with the great Irma Thomas on �Even Now,� one of my all-time favorite songs from one of my favorite songwriters, the late David Egan. In no particular order, here are my top 10 discs. Buddy keeps on aging gracefully just like the Cognac he sings about. Another gem from Buddy and kudos to Tom Hambridge for all of his work ad Buddy's producer. Loved the vibe of this whole record from Billy. I keep on coming back to it and that's a good thing! Just a wonderfully crafted contemporary record from Shemekia. More amazing work from my friend in the Northeast. Anthony has been involved in a number of great projects in the past couple of years and this disc is no exception. John has been telling me about this big band project of his for a couple of years now and I was fortunate to see them last May when I was in Memphis for the BMA's. Just a masterpiece that clearly shows John is at the top of his game. Nick and the band tore it up at Blues From the Top last summer and Dennis brings his unique harp talents to the mix in this release from Nick. This record impressed me from the first listen. Looking forward to her next visit through Colorado. 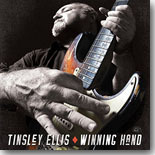 Kevin took the honor's in the solo/duo category a year ago at the IBC and released a gem of an album here. One of my personal favorites of the year is this disc from Brigitte Rios Purdy, an emerging artist from Los Angeles. 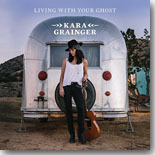 Soulful writing and her amazing vocals brought this disc to the attention of the good folks at XM and yielded three singles in the top 50 RMR blues charts. All contents Copyright � 2019 Blue Night Productions. All rights reserved.